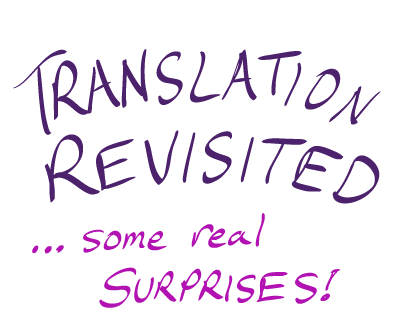 More than a year ago I posted a lengthy article on machine translation, reporting the state of things back then, and testing six leading MT products ("MT playoffs, March 2009"). The results had Google in first place, with Language Weaver next, and Microsoft third. I closed the article with this: "Bear in mind this was a single test of 500 words, and just English-Spanish. But things are changing so fast a person really should do their own tests anyway once a year…"
Testing is actually hard work, not as easy as you would think. You really should do it, though, if you routinely use these tools. Get a chunk of sample text, run it through the various MT options out there, and compare the output. Seems quick and easy. The hard part, though, is that the output (in my case) is Spanish, and while I read it OK, it’s slow going for me really judging quality. Added to that, first impressions of MT quality can really be deceiving. A butchered first sentence makes a whole paragraph look like crap, and it’s only after digging into it that you might notice what’s good about it. For the last few weeks I’ve been filling in all the dead-air that I had after March 2009. I’ve written six new posts, assembling them from leftover parts by reporting on projects which I had wanted to write about, but couldn’t. It’s been fun, because by doing that many in a row I smoothed out the posting process itself. It gave me practice, and I got to debug a few things along the way.